Aubrey Neal "Bud" King Jr. Provide comfort for the family of Aubrey King with a meaningful gesture of sympathy. 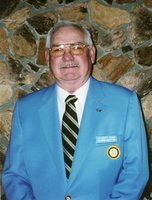 Mr. Aubrey "Bud" King, age 82 of Winnsboro, passed away on Saturday, February 2nd, 2019 in Winnsboro. He was born on August 7th, 1936 in Strasburg, VA. to the late Aubrey Neal King Sr. and Cardina Jane Bougess King. He was a retired postal worker for the United States Postal Service. He was also a member of the Moose Lodge of Vacaville, CA, American Legions, and Governor of the Dixon, CA Moose Lodge. He was preceded in death by parents and son, Jeffrey King. He is survived by, daughters, Debbie Merritt and Kristi King; brothers, Jerry King and Richard King; four grandchildren and life partner, Vivian Watkins. Visitation will be held on Saturday, February 9th, 2019 from 2:00 pm to 3:00 pm at Beaty Funeral Home-Winnsboro 816 W. Broadway Winnsboro, TX 75494. Graveside Service will be held on Saturday, February 9th, 2019 at at 3:00 pm, with Bro. Ken Goodson conducting. Interment will follow at Lee Cemetery in Winnsboro with Beaty Funeral Home Staff serving as pallbearers. To send flowers in memory of Aubrey Neal "Bud" King Jr., please visit our Heartfelt Sympathies Store.